Today I stumbled on this great video on Youtube about the Nature Conservation Park located in both Northern Portugal and the Spanish region of Galicia. On the Portuguese side one of the doors to the Park is actually in “Lamas de Mouro” – Melgaço if you drive around 20 minutes up mountain from the town. As you can see it in the video it is a beatiful place with ancient ruins from “Stone Age” dolmens to Roman bridges. Check a list and GPS coordinates HERE (new tab). The mountais are covered with giant round shaped rocks some of them famous for their curious shape. There is also a lot of small rivers, waterfals from many sizes and small lakes. Wild animals include wild flurry horses (video 0:46) and deers. There are wolves too but don’t expect to see them as they are scarce nowadays and the ones that are left are intelligent enough to avoid humans. Now that I moved to Hungary I’ve had the chance to explore quite a few European Conservation Parks and usual mountain/forest destinations in Austria, Hungary, Croacia and Slovenia, so I can make you comparison with this places. The first difference is that “Gerês” is not such a popular place. For some strange reason it seems that the European tourists usually don’t travel West by car. Last year I was in Slovenia and I had never seen so many German, French and Italian cars parked together. So if you want to explore on your own and prefer under-the-radar places this is a plus. The second difference are Ticks. As crazy as it may sound, yes, ticks – those blood sucking parasites are a plague for forest-travelers in most of Central Europe. Everyone who lives here always packs a tick-removal tool for their travels, take B-vitamin or use some repelent spray. This was something completly new for someone used to hike in Portugal. The third and last difference is in fact a disadvantage for the non-popularity of this place. While there are tourist oportunities for radical sports, hiking, rent-a-bike, rent-a-boat and others, you should search online and take notes of what you want to do and where before traveling. Here’s a really nice video from Porto filmed with camera-equiped-drone. I need to buy something like this! This is my 4th post with Photos taken in Madeira, feel free to check and comment. And don’t forget to add this island in the Atlantic Ocean to your “must-go destinations” 😉 . 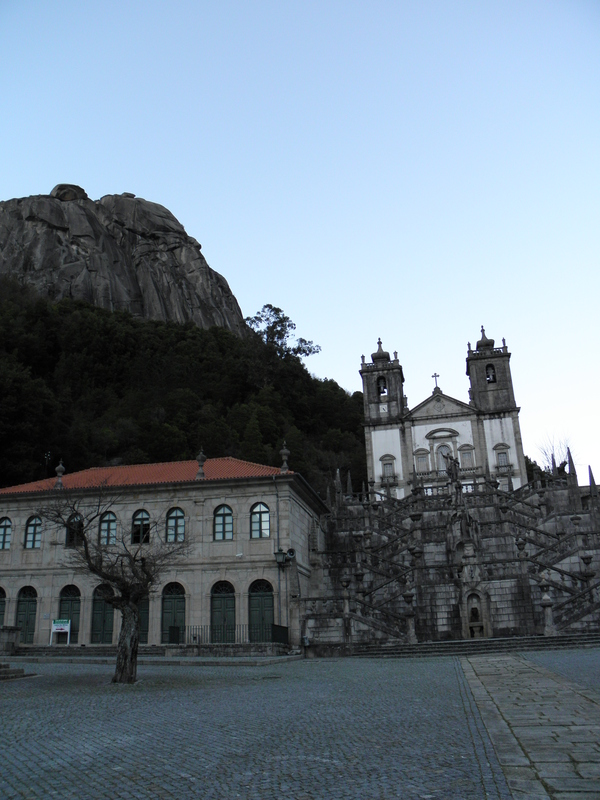 The sanctuary of “Nossa Senhora da Peneda” is located high in the mountains and is not in fact part of Melgaço but of another municipality: “Arcos de Valdevez”. But taking your time to go up there from Melgaço you’ll also enjoy the views and explore the mountains and small villages in the way. Even just following the road (by bicycle or by car) with some occasional stops you’ll certainly enjoy the view of the wind turbines spinning as they produce electricity, the water courses cutting their way in the mountains and you’ll enter the Peneda-Gerês National Park in “Lamas de Mouro” – Melgaço. It is possible to find wild mountain horses often. Please don’t forget to check my other posts about Melgaço. 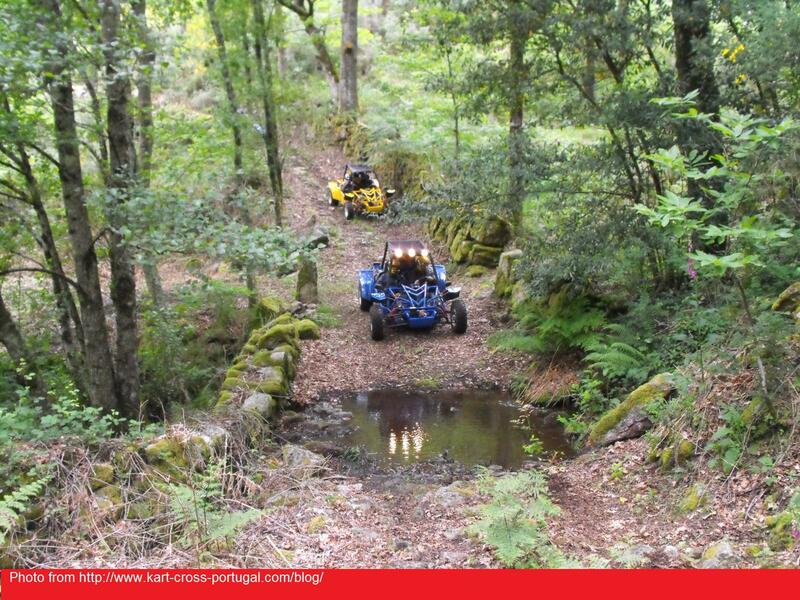 If you like mountain landscapes there’s a lot for you to see in the areas surrounding Melgaço. 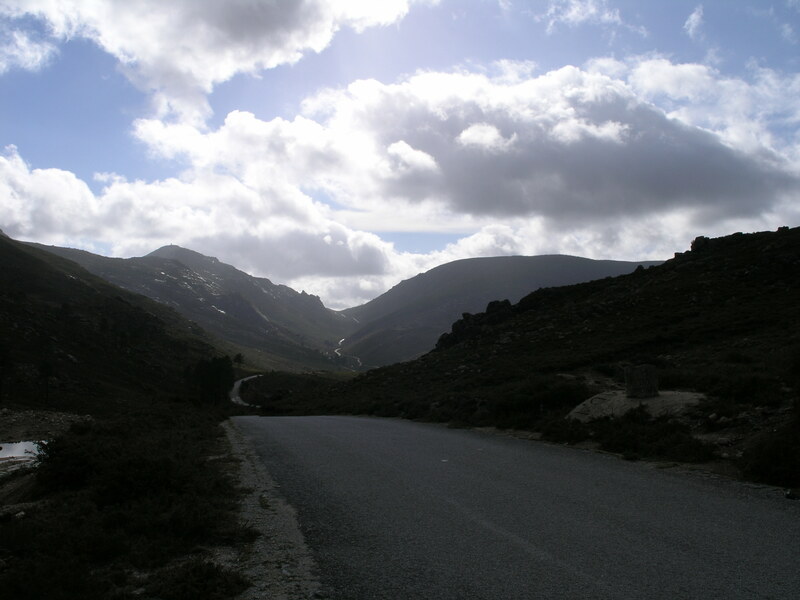 It is not the tallest mountains in Portugal but some peaks can reach over 1300m (more than 4200 feet). And I think you’ll enjoy the views and the characteristic boulders covering some mountains. As you go up you’ll clearly notice the changing of the vegetation and that there are no trees above a certain altitude. There are some water courses and brooks to be found and the locals do know some remote swimming places. For more information about the municipality of Melgaço please check the Index page or my first post about Melgaço. 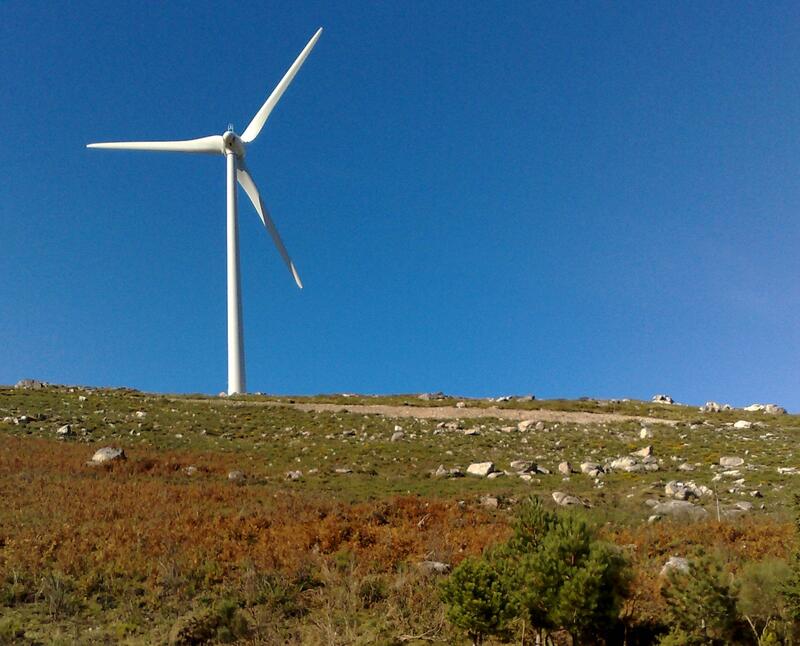 Since 2007, some mountains in Melgaço have become populated by large wind turbines for electric energy production. This change in the landscape is noticeable in any clear day from Vila. The town always seemed surrounded by mountains, now tall white turbines guard the top of these mountains with their spinning blades. I think it is a small price to pay considering the benefits for the environment. Melgaço is one of the municipalities covered by the “Alto Minho Eolic Park” or “Alto Minho Wind Farm“, an investment of more than 340 million Euros in northern Portugal, creating a 240 megawatt park with 120 wind turbines. From the newspapers I found it creates 1,25% of the electricity used in Portugal, with an annual production of 55million Euros worth of electricity. It is said to save the production of 466 thousand tons of CO2 for year. For more information about Melgaço please check the other posts in this category. This post will be updated if I upload more photos from the wind turbines. Please click the photos for aditional information and higher resolution images. 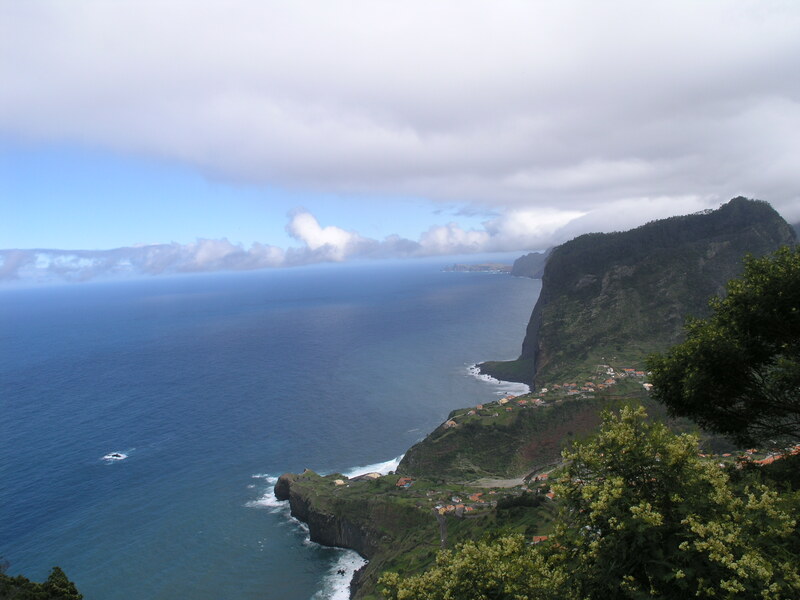 Looking at the Blog Stats during October it seems that the photos of Cabo Girão and Santana – Madeira were everyone’s favourites. 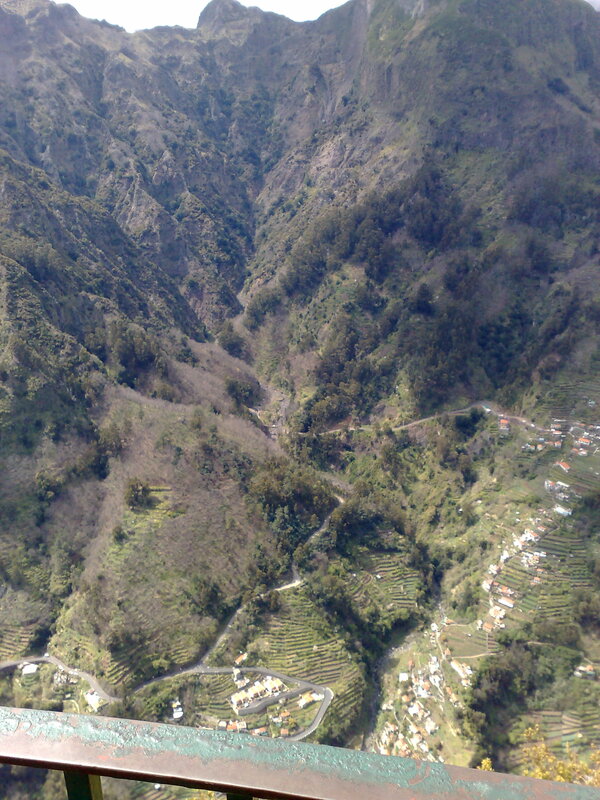 Here you have more photos of the funny traditional houses and more breathtaking landscape views of Madeira Island. Enjoy. For more info please re-visit the previous Madeira post. “Eira do Serrado” or “Pico do Serrado” is another precipice like “Cabo Girão” however this time there’s no sea but land at the bottom. 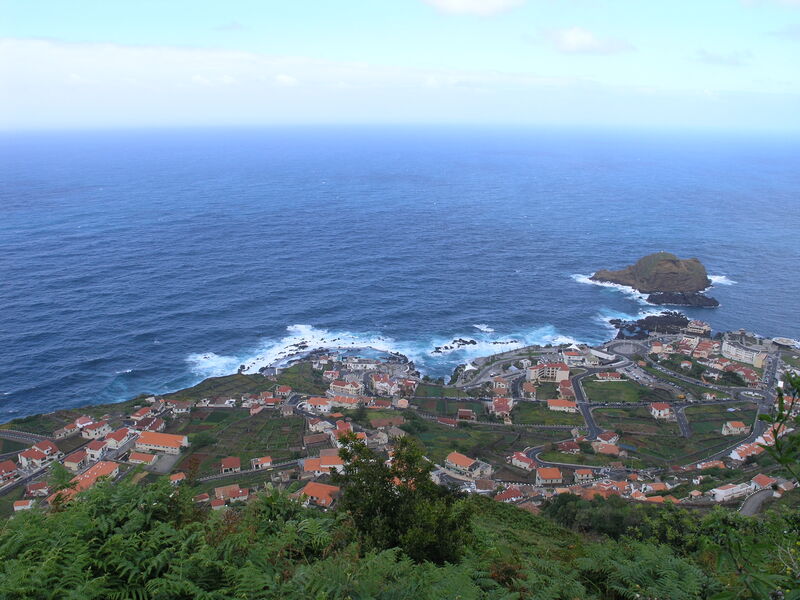 And there’s a town down there called “Curral das Freiras“, it was the most remote town in the island until the relatively recent opening of a tunnel. Thanks everyone for your visits. If you have limited time and you only want to stay a few days to know the Island, going by airplane is your best option. For example TAP (member of Star Alliance) and EasyJet provide regular flights to and from the Funchal Airport. There is also the option to go by sea either by Ferry or in one of the many cruise ships with Funchal in their itinerary. However this are clearly more limited options, the Ferry for example is only available once a week. The landscape – an abrupt beauty created in the ocean by volcanic activity. 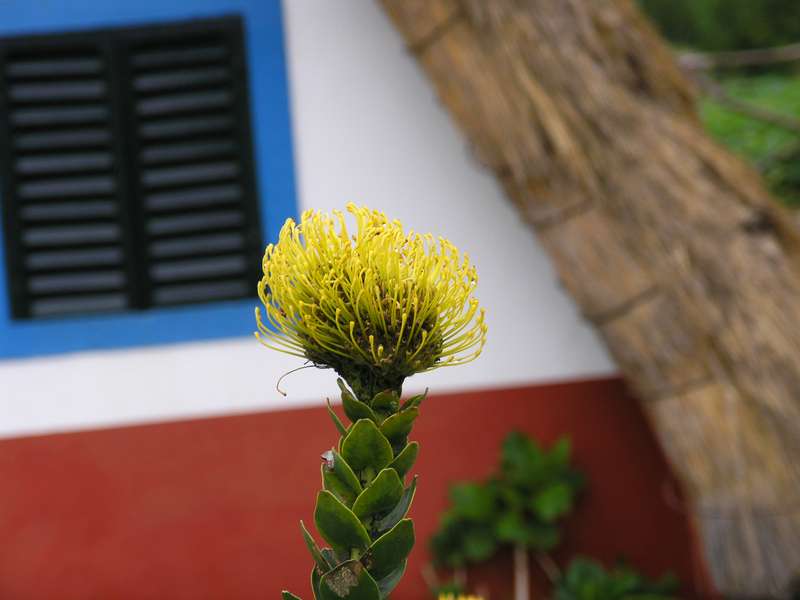 The flora – strange flowers can be found all over the island, some of them are native and others were brought over the centuries from all over the world. Sugarcane, Bananas and Pineapples also grow in the Island. 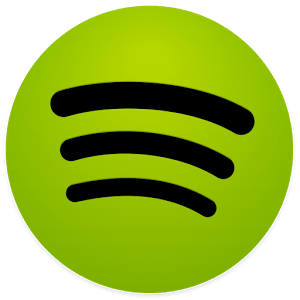 The weather – warm weather during all the year. Calm and relaxing island unlike others that have become completely tourist-centered. Note: downloading the images in the higher resolution will probably be better to zoom them in and out.